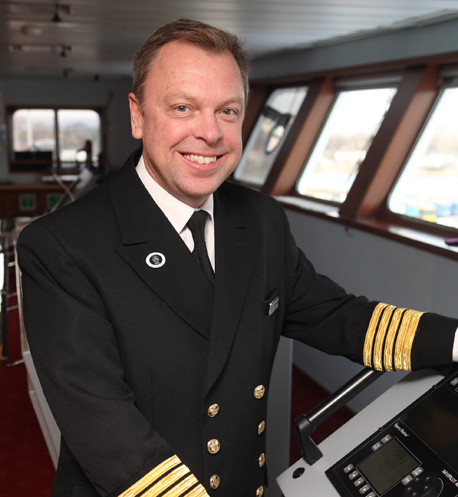 Captain Neil Broomhall was, not surprisingly, one of the busiest men on board mv Voyager during its inaugural celebrations in Portsmouth this week. 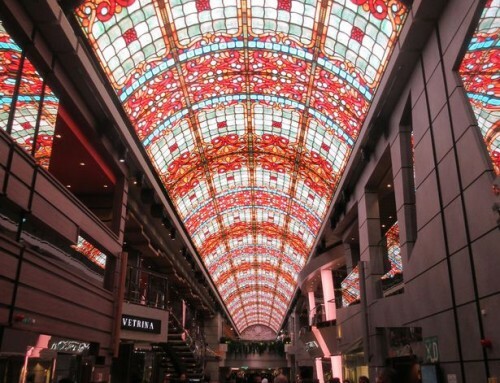 About 1,200 loyal customers of the Voyages of Discovery brand visited the ship and placed bookings worth more than £90,000 before they returned home. There were travel agents to welcome on board, and then a few pesky journalists such as myself among the VIPs at the ceremony during which it was christened by TV naturalist Miranda Krestovnikoff. So a big thank you to him for finding the time to answer a selection of questions sent in by readers of this blog and via Facebook and Twitter. Capt Broomhall is a youthful-looking 40-something from Stafford, and several of you wanted to know why he had chosen a life at sea and how he had started out. That was a simple one. The young Broomhall was determined to see the world, and decided a career at sea was the best way to achieve this ambition. He took a job as a deck hand on cargo ships and worked his way up through an apprenticeship to junior officer. He joined Cunard’s QE2 as First Officer and in 1996 was offered a job with P&O Spice Island Cruises based in Bali, taking command of the expedition vessel Oceanic Odyssey a year later at the age of 34. 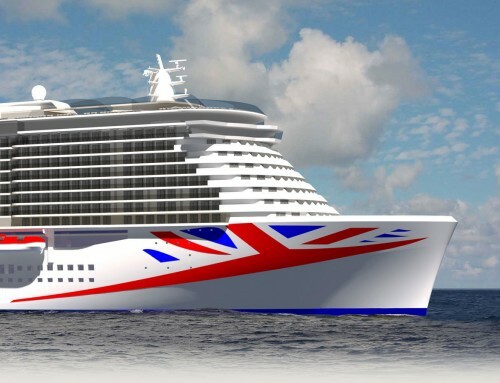 A few years on he became master of Radisson Diamond, a unique twin-hulled cruise ship, and then spent some time with Saga Cruises before joining Voyages of Discovery. He has been on Voyager for two-and-a-half years while it has been chartered by a German company and for gambling cruises in Turkish waters, and now the casino has been removed from the ship he is expecting the VoD passengers to be rather easier to deal with than the Turks who would get annoyed during the two hours each day that the gaming tables were closed. 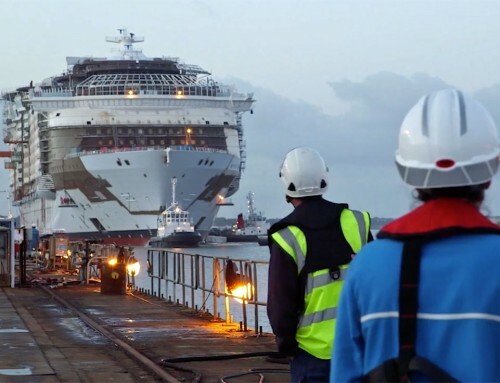 “I enjoy working on the smaller cruise ships, and with 540 passengers, Voyager fits into that category. It’s such a pleasure to walk around the ship and talk to passengers,” he said. Next question: What might loyal passengers of Discovery miss if they transfer their affections to Voyager, and what new features can they look forward to? “They might miss the old, classic feel of Discovery; this is a more modern ship. But they can look forward to being re-united with the familiar faces from the Discovery crew – waiters, barmen, stewards – who have all transferred here. Other than the captain, who is the most important crewmember on board? “Everybody has an important job to do and if we could do without one, then we wouldn’t have them on board. The officers and crew are so good, they are all important and it’s impossible to single anyone out,” he said with all the diplomacy which has steered him into the captain’s job. Tallullah the Cat wanted to know if there is a cat on board Voyager. Anneli Partman asked: When will the ship visit Tallinn, in Estonia? To which the answer is on May 8, 2013, on her first European cruise after returning from the maiden circumnavigation of South America. The Baltic voyage sets out from Portsmouth on April 29 and will also call at Warnemunde, Helsinki, St Petersburg (for three nights), Stockholm, and Copenhagen. Olly Beckett wanted to know which new destination is the captain is most looking forward to visiting. “We will be calling at Valparaiso in Chile early in February, and I’m looking forward to joining passengers on excursions to Santiago.” An ambition to cruise up the Amazon might have to wait another year or so, because on his present schedule, Capt Broomhall will be taking leave when Voyager reaches Buenos Aires at the end of February. He won’t be able to join his wife and family at home this Christmas, but he is making plans for a special birthday later in 2013. What is the most interesting thing you have learned about the ship? Finally, to Mark Cameron, a former chief engineer on the ship, who emailed to ask if the captain was missing his jokes – but left it until later to raise the intriguing question of a cabin he says his haunted. That’s one we’ll have to investigate later. Thanks again, captain, for answering the questions. I hope all is well as Voyager crosses the Atlantic over the next few days. Bon voyage. And good luck with your Captain’s Blog. I’m looking forward to reading it. how does the weather influence the captain of the ship in making his decision whether to change his ETD/ETA schedule? ?